Native 4K SXRD panel : Featured in Sony’s digital cinema projectors, advanced SXRD (Silicon X-tal Reflective Display) panel technology delivers native 4K (4096 x 2160) resolution images, with more than four times the detail of Full HD. Fine details are wonderfully clear and natural, without jagged edges or visible pixels. See richer, deeper blacks :Latest SXRD 4K panels deliver even better contrast, as well as native 4K resolution. SXRD projection offers rich, inky blacks, as well as clear cinematic motion and image smoothness. Improvements to the panel’s reflective silicon layer now mean even better light control, for precisely reproduced shadows and blacks. Longer lasting brightness with Z-Phosphor laser light : „The ultra-pure, reliable Z-Phosphor laser light source lets you enjoy exceptional 4K pictures with consistently uncompromised brightness levels. You can also enjoy up to 20,000 hours of uninterrupted operation, with no lamp replacement and virtually zero maintenance. 2,000 lumens for high brightness Enjoy the action with up to 2,000 lumens brightness from the laser light source, for vibrant images on screens up to 762 cm (300″). HDR compatibility: every image comes to life : Get the most from today’s UHD Blu-ray and streaming services with High Dynamic Range. HDR video offers an expanded brightness range that delivers more realistic, high-contrast images and brilliant colours. Compatible with both HDR10 and HLG (Hybrid Log-Gamma) formats. Sony’s home cinema projectors reproduce colour and contrast that’s faithful to the creator’s intention. Custom made screen. Width of 3048 mm and 1.78:1 aspect ratio. 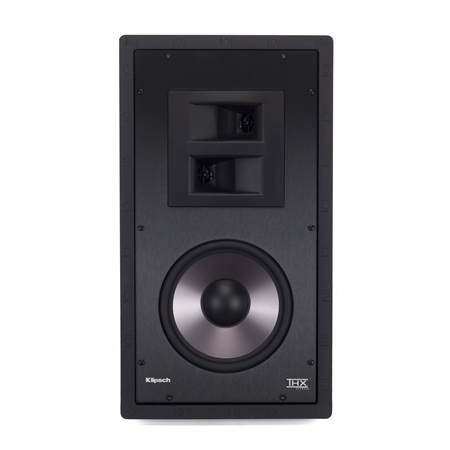 With Stewart’s Lucasfilm THX Ultra Certified MicroPerf, you can now more closely emulate a movie theater by placing the center channel speaker behind the screen surface and achieve the ultimate in audiophile sound without sacrificing videophile quality. All masking panels are motor driven. Lowing and retracting of the masking panels may be controlled by a variety of wall mounted or remote control systems. Frames are constructed of angular steel bars, steel plate end cover, and L-shape brackets. Masking Panel Rollers are 2″ diameter steel tubes secured to the motor. State-of-the-Art Active Shutter 3D Technology. The XPAND Universal 3D Glasses™ is blend of state-of-the-art LCD technology, high-performance software, and simple, comfortable lightweight frames that work in combination to deliver games, movies, pictures, and graphics in the highest quality 3D. By being an active solution with fast switching speed, there are no headaches, ghosting, or eyestrain often associated with some other 3D solutions. Enjoy the ultimate in cinematic surround sound with Dolby Atmos®, the most advanced motion picture surround sound system ever developed. As with previous Proceed amplifiers, Madrigal has designed the AMP5 to meet the requirements set for THX certification. In addition to meeting basic noise and distortion levels, THX certified amplifiers all have the same gain, assuring compatibility with all THX certified processors and loudspeakers. Universal Network 3D Blu-ray Player. This is the company’s second generation Blu-ray player with new features including Dual HDMI outputs, Wireless-N networking, Marvell KYOTO G2 chipset, and 3D support. Per-pixel motion-adaptive de-interlacing and advanced scaling transform the standard definition image on DVDs to high definition output to your Screen. Additional Qdeo video processing options help to deliver a clearer, smoother, and true-to-life picture free of noise and artifacts. Toshiba’s 1080p-outputting HD DVD player, the HD-XE1, is at last available in the UK. As well as being the first-available 1080p HD DVD player (well, Tosh is the prime mover of the format), the HD-XE1 also betters its cheaper stablemate, the HD-E1, by having the latest version of HDMI – V1.3 – and a number of extras. Both Tosh models can upscale standard-definition DVDs to 720p and 1080i resolutions – output via HDMI – but the HD-XE1 adds full 1080p HD upscaling, as well as play back, and other goodies. There’s a 297MHz/12-bit video DAC that supports Deep Color technology – an option added to the HDMI standard in version 1.3 and reckoned by Toshiba to improve colour tones and achieves finer colour gradation. The TechniStar S3 is a HDTV digital satellite receiver with a wide range of features and additional benefits. CINE GONG is a newly developed module designed for creation of a chime sequence of highest tonal quality. A traditional, mechanical „UFA“ – chime generator with the renowned four descending tones was the exemplary model. This incomparable chime was, in it’s time, found in nearly all german cinemas. Many substitutes followed. None reached the quality of the original. One of these „UFA“ – chimes was specially restored and tuned in preparation for digital sampling. Approved by Lucasfilm, Ltd. for THX® system installations. Sub Woofer case 22mm MDF with 18″ BC 18TBW100 1500/3000 Watt LF driver, Two channel amplifier Duecanali 1604 Series. 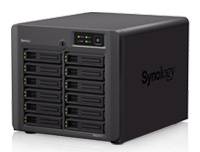 Synology DS2411+, with currently up to 36 TB storage space available. Cyber Power UPS Value 600VA, provides emergency power to the nas.